If you need red diesel delivered to Scotland, contact Crown Oil. We are red diesel suppliers in Scotland and across the United Kingdom. 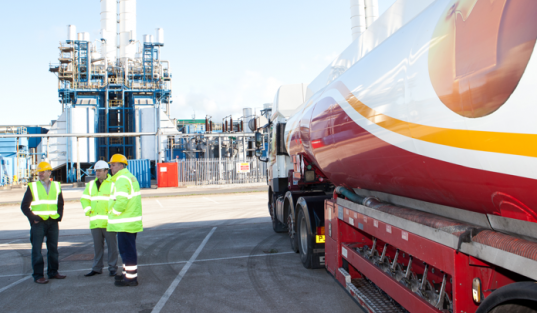 We specialise in arranging on time fuel deliveries, guaranteeing the best service. Our customers also take advantage of our free fuel management service and 24/7 out of hours emergency deliveries. We can deliver red diesel to any business sector that requires this fuel. It can only be used to run off road machinery and for heating. Call 0845 313 0845 to order red diesel. Our sales team will be able to answer any questions you may have. We offer some of the best payment terms available on the market. Scotland is an amazing country filled with culture and beautiful scenery. Tourists from all over the globe descend on Scotland for golfing holidays, fantastic breaks in awesome castle hotels, or for the world famous Edinburgh festival amongst many other reasons. Scotland is also famous for being very cold, even during the summer. The prices of piped gas and electricity has soared astronomically and many people cannot afford to have the heating on when they need it most. This has caused many of the elderly residents and young children to suffer from flu and hypothermia. An alternative to the spiralling prices of gas and electricity heating costs, is red diesel. Red diesel as a fuel one of the cheapest methods of heating residential and commercial properties. Red diesel fuel can be used safely in above ground storage containers and automatically piped in when required to heat the home. Red diesel has been used for decades as a low cost heating solution for agricultural and government buildings as well as churches and schools. Red diesel does not receive the massive tax duty that normal diesel fuels attract which makes it a cheaper heating fuel. Red diesel suppliers in Scotland can deliver to any part of this awesome country to enable every resident and business to partake in this inexpensive heating solution. Red diesel offers a chance for home or business owners to reduce their annual heating costs considerably, allowing the saved money to be put to better use. Red diesel suppliers offer a reliable delivery service to ensure all users do not run out of fuel when it is needed the most.